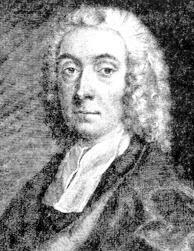 During the 18th century, England produced some of Protestant Christianity's greatest hymnwriters, including Isaac Watts, Charles Wesley, and Philip Doddridge. As well as writing hundreds of hymns ('O Happy Day' perhaps the most famous), Doddridge founded a theological training school in Northampton, where he taught philosophy, theology, and biblical languages. In The Rise and Progress of Religion in the Soul, he observes that true Christian faith exists in hardly anyone's hearts, and he sets out to remedy this fact. Doddridge's careful and moving examination of the human heart changed the life of, for example, William Wilberforce, who would go on to campaign against the slave trade in the British Empire. Later, pastors such as Charles Spurgeon would go on to admire and draw from Doddridge's work. Popular works: Rise and Progress of Religion in the Soul Illustrated in A Course of Serious and Practical Addresses Suited to Persons with a Devout , Practical Discourses on Regeneration., Evidences of Christianity Briefly Stated and the New Testament Proved to Be Genuine. In Three Judicious and Excellent Sermons.